A place to honor the memories and celebrate the lives of Members and friends of the Center for Spiritual Living, Santa Rosa who have passed away. Terry James Rosendahl, a 62 year-old beloved member of our community passed over suddenly on the 1st day of spring, March 21st, 2014. A man who was in top physical condition was doing what he loved; running in Ragle Park in Sebastopol on a beautiful spring afternoon. 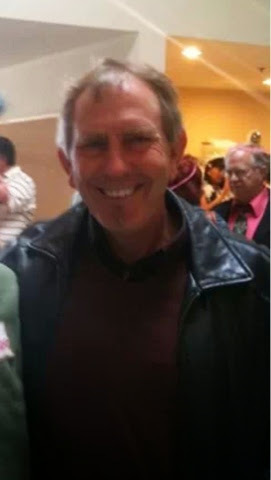 Terry is survived by son Adam, his son’s mother, Denise, his father James and wife Kathy, brothers Tim, his wife Lisa and their children Ashley, Brandon and Cassandra, his brother Tom, wife Brenda and children, Tanner, Eli, Jase, Wyatt and Jerrica, and finally, his dear girlfriend Karen. His mother Helen preceded him in death. He was born in Minot, North Dakota on October 21st, 1951 and raised in Fargo, North Dakota. He attended Macalester College in St. Paul, Minnesota. A juggler, minstrel and creative games maverick, Terry (then called “Mistachio”) travelled to Renaissance fairs around the country with the “Pig’s Eye Compaña,” a vagabond group of entertainers. He relocated to Northern California where he has lived for 30 years, with the past 20 years in Sebastopol. He and Denise created a beautiful home in the redwoods in Sebastopol where their son Adam was raised. Terry worked for most of his career in software sales but most people knew and loved him as a Renaissance man. An enthusiastic member of the Sebastopol dance community, he shared his multitude of skills as musician, juggler and eclectic dancer along with his ever willingness to help out friends in need. Always a spiritual seeker, he has been a committed member of the Center for Spiritual Living for the past 15 years. He will be remembered and hugely missed by his family and friends for his quiet presence, his deep listening skills and for his kind and compassionate heart. A Rosendahl Memorial Fund has been established at the Sebastopol Redwood Credit Union, 7840 Covert Lane, Sebastopol to facilitate the completion of a gifting from Terry to his son Adam. (Donations are payable to Adam Rosendahl) Gifts of flowers may be sent to the chapel at the Center for Spiritual Living by 4pm on Friday, 3/28. Services will be held Friday, March 28th at the Center for Spiritual Living, 2075 Occidental Road in Santa Rosa at 5 pm with a healthy potluck reception to follow. A 62-year-old jogger was found dead Friday afternoon in Sebastopol’s Ragle Ranch Park. The Sonoma County Sheriff’s Office on Saturday identified the jogger as Terry Rosendahl of Sebastopol. His body was discovered about 5 p.m. Friday. Earlier Saturday, the Sheriff’s Office sought help in identifying the body, as Rosendahl had been jogging and not carrying identification. Investigators in the Coroner’s Office said they believed Rosendahl died of natural causes. An autopsy is pending for later this week. I went to High School with Terry. Terry graduated from North High in Fargo ND in 1970. He made it back here for our 30th reunion. We remember our departed friends of our class each reunion. We are sorry but honored to have known him, He as one of us. Now he is dancing with the angels. God bless you Terry and your family. Terry was a graduate from North High in Fargo, ND. He was in the class of 1970. We will miss him. He came back to Fargo for our 30th reunion. Everyone enjoyed having him back for a while. We will remember Terry at our next reunion June, 2015. God bless you Terry, and your family. Now, you are dancing with Angels.